It has been three years since the Caffe Napoli closed, and The Drive Coffee Bar took its place at 1670 Commercial; and it has proven to be a whole lot more than just a coffee bar. They make really good use of a long thin room. I have been to political meet-and-greets there, for example, and they have their Tuesday night open mic music sessions and on Wednesday night’s they have Weekly Stories. In a couple of weeks they are adding intimate theatre to their repertoire. On March 1st and 3rd at 8:00pm, Jo Dworschak will present her award-winning one-woman show, Oh Man; an autobiographical monologue featuring the problems she has with the men in her life, only to learn she’s pregnant and having a boy. One year ago, I reported on the BC Government’s seizure of $40,000 worth of whiskey from Fets Whiskey Kitchen on Commercial Drive (here, here, and here). 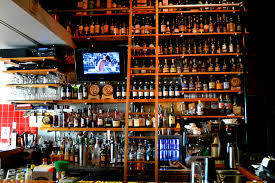 You may recall that, although Fets purchased their whiskey from legal outlets and paid the full price and the full tax on the purchases, they were technically not allowed to purchase from those outlets. Similar seizures were made in Victoria. I am clearly on the side of Fets in this fight, but regardless of right or wrong, it is crazy that this can drag on so long. As mentioned above, the government’s own panel came up with recommendations six months ago but they are “still under review.” I certainly don’t believe that government and business should operate in an identical fashion, but, seriously, no business would survive if they took so long to make a decision, especially in this day and age. Our otherwise worthy AG needs to get off the pot and make this right for a business that has helped the Drive flourish for more than thirty years. This coming Sunday (26th), the Downlow Chicken Shack at 905 Commercial is closing out the summer with a special schnitzel and wine menu that sounds like fun. The event goes from 5:30pm to 10:00pm. I’m sure there will be crowds. I could rewrite the Scout’s piece on this and pretend I know what’s going on, but I’m happier to point you to their article. When Nick’s Spaghetti House closed after 62 years in business at 631 Commercial, there was already talk of another restaurant moving into the space. Now, that talk has become concrete action. 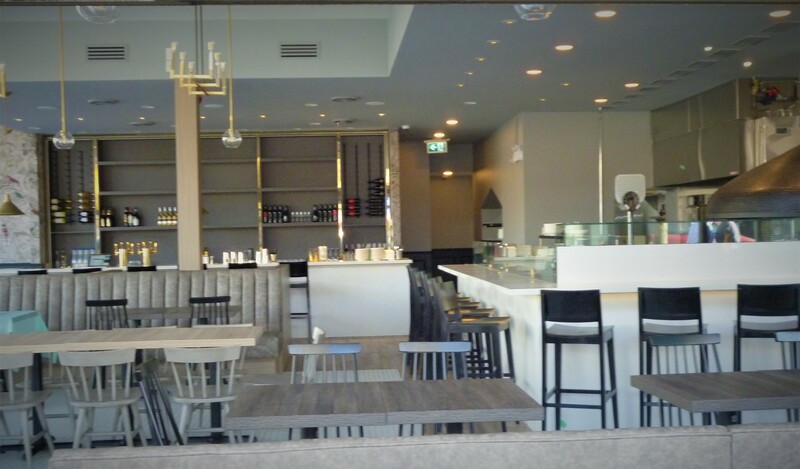 The old restaurant is being refurbished and will open as Pepino’s Spaghetti House, owned and operated by the chefs and management team who have been so successful with their Savio Volpe osteria at Fraser & Kingsway. 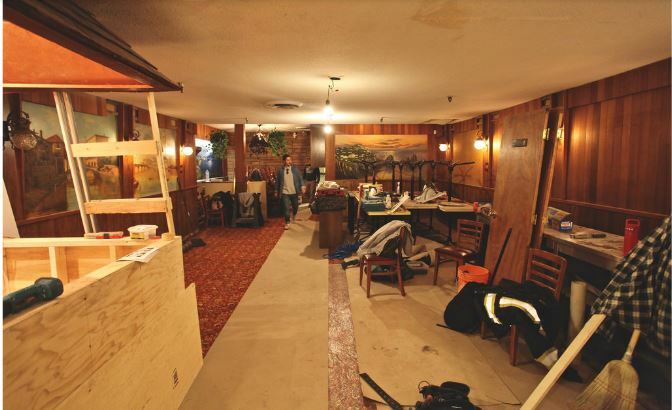 Much of the ambience of Nick’s is being kept, according to a story in Scout Magazine, including the old murals. There is hope the new restaurant will open in June. The convenience store that used to be next door to Nick’s has also been taken over by the same group. After a complete refit it will reopen as Caffe La Tana, a traditional food store and cafe. That northern part of Commercial Drive is home to a wide range of less expensive houses and small relatively affordable apartment blocks. It seems to me that Pepino’s and La Tana are probably looking for a more exclusive clientele which they hope to find once that stretch of the neighbourhood is thoroughly gentrified. In the meanwhile, their marketing will aim, I am sure, for the destination crowd. 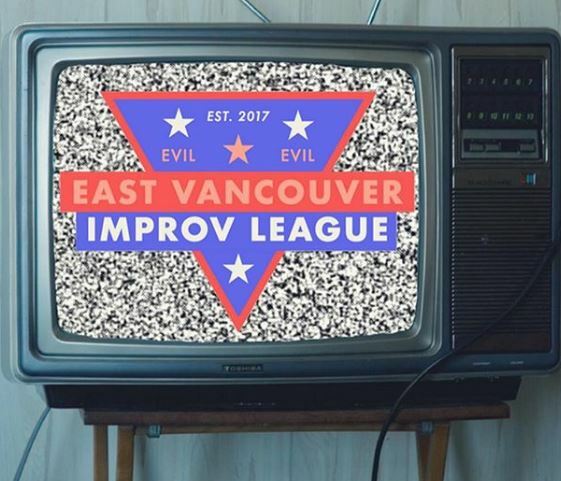 The East Vancouver Improve League (EVIL) engage in a fast-paced improv comedy contest every Sunday at the Havana Theatre. Proceedings get under way at 7:30pm and tickets are just $8 at the door. Not sure what will happen in the three weeks that Havana is closed for renos from this Monday, but give tomorrow a look! One of our big spaces — what used to be the Roma Caffe, at the corner of Commercial and Grant — seems as though it is just about to burst into life once again after 15 months of shuttered windows. Since last April we have been teased by the signs suggesting that at some unspecified time in the future we would have a fine Sopra Sotto restaurant. Now it seem it has finally come to fruition. Here is the interior as I passed by in the sunshine yesterday. My very first thought was that it is a cleaned-up and airy pastiche of all The Drive bars and cafes we already have; nothing particularly original, done well. But it will be in the taste on which its future success will have to rely: we have a good number of pizza places here already at all price levels. Where will they fit? You are currently browsing the archives for the Restaurants category.